This palette has 35 brand-new, OMG eyeshadows that Jaclyn whipped up, formulated, tested, re-tested, and perfected. They were created to deliver not only the best color payoff but also amazing application. Mattes, shimmers, satins, foils, and glitter: all pressed to perfection...just the way Jaclyn wanted. Her dreamy colors are now your reality. The most sought after eyeshadow palette, sold out every where. 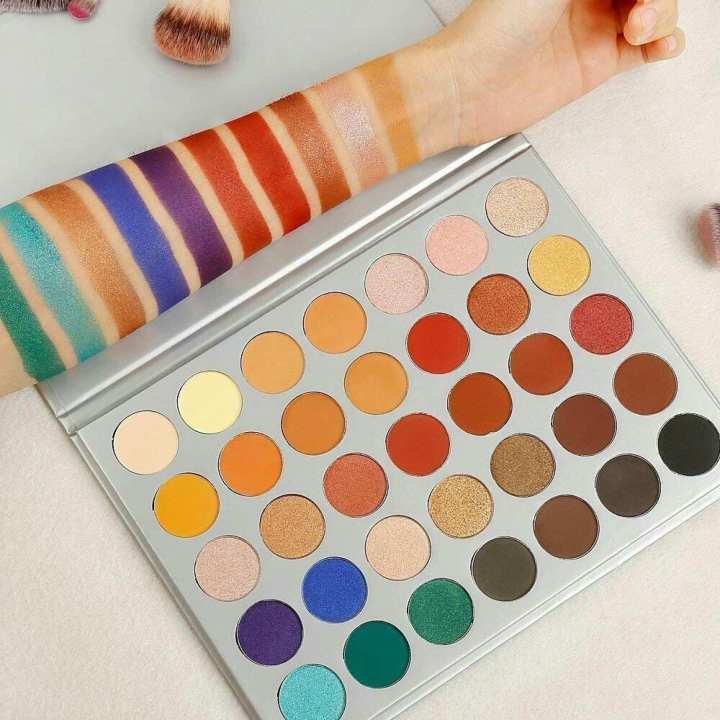 This palette has 35 brand-new, OMG eyeshadows that Jaclyn whipped up, formulated, tested, re-tested, and perfected.They were created to deliver not only the best color payoff but also amazing application.Mattes, shimmers, satins, foils, and glitter: all pressed to perfection...just the way Jaclyn wanted.Her dreamy colors are now your reality.The most sought after eyeshadow palette, sold out every where. It was good not awesome but it was worth the cost.Im satisfied. Delivery kothay kothay koren Dhakar moddhe? ami aro order korte chai ekbare kintu prottek bar delivery charge alada kore dibo?